When it comes to photo editing, there are lots of different options. They all have their own strengths and weaknesses, but Photomatix is a brand that seems to have true staying power. This is the sort of program that many serious photographers use to edit their HDR photography. Professional dedication to a product is always a good sign, but also not the only thing that you should look for in a photo editing software. You need to figure out if the features of the Photomatix 6.1 meet your needs. To this end, we can be of service. Read on for a close look at the ins and outs of the Photomatix 6.1. 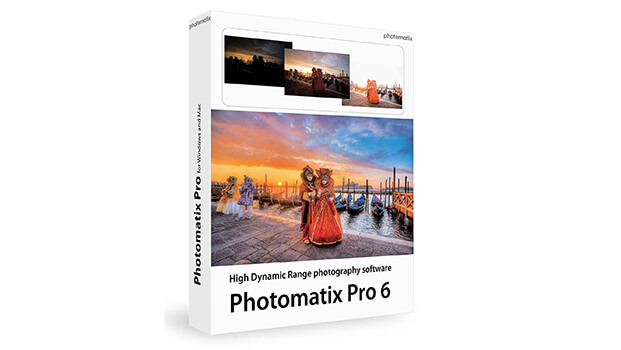 If you have been using Photomatix for some time but are considering an upgrade, you may rightly wish to know what is new in the 6.1 iteration of the program. Let’s look at that. Edge Awareness Brushes: The Edge Awareness Brushes function is designed to empower the user to mask colors and easily alter or otherwise blend exposures selectively. Tone Balancer: The Tone Balancer function utilizes an HDR method that helps to produce a more crisply realistic finished product. Enhanced Color Control: You can also take a much more hands-on approach to magnifying or shrinking colors with a palette control center that allows you to alter the brightness and saturation of each color individually. Exposure Blending: As the name aptly suggests, this feature allows you to blend exposures to create a more realistic image. Distortion and Perspective Correction: Another feature the function of which is self-apparent. This component of the software allows you to easily correct perspective issues. Without question, these are all important additions. Whether you have been using Photomatix for years, or you are looking for a new software, you are, no doubt, going to find these components of the program very useful. New components out of the way, let’s now look at the interface of this program and examine some important features that you will come across. In terms of design, there does seem to have been an emphasis on giving the user a streamlined and straightforward experience. The interface does have a slightly aged look to it, though to be fair, Photomatix is a slightly aged company. The dated aspect of the program is strictly cosmetic though. The bland, gray design touches may not be much for the eyes to behold, but that does not detract one iota from the straightforward controls that the program features. Photomatix 6.1 is reliable, consistent, and easy to use. At the end of the day, these are the components of an interface that truly impact user experience. Now that you understand the nature of the interface, let’s zoom in on some features. One of the nice things about the ghost reduction feature on this program is that you can opt to apply it universally, or selectively at your own discretion. This degree of flexibility will give you the chance to really play around with what you want to do here. The feature works very efficiently and through their generous options, you get the chance to apply it creatively. There is a big emphasis on choices with this program—a fact that is abundantly demonstrated when you look at the HDR rendering methods. You get eight different options in total, all with their own slightly different look at the finish. Most users are likely to find a single method that they prefer and stick to it for the most part. However, with options comes power. You never know when your standard method won’t cut it, and a different option will need to step in to save the day. Once you have manipulated the aspects of your photo to your heart’s content, Photomatix makes it easy to ensure that the process concludes with the best-finished product possible. The final step in editing your image occurs when you click the “Finish” button. At that point, you will be hit with a series of simple options that will allow you to polish up the image a little bit more at your discretion. Of course, at this point of the process how much or how little you do is entirely up to you. By this point, your photo is probably already looking pretty good. A “Finish” option is standard to probably just about every software of this nature. However, that doesn’t make it any less nice to see here. The strength of this software is self-apparent. Whether or not it is right for you might or might not be so obvious. This is a serious program, which begs the question: are you a serious photographer? If so, you may opt to find yourself in the company of many thousands of other serious photographers who trust Photomatix. From an easy to use interface, to lots of features that have been orchestrated to help you create high-dynamic range photographs, there is no ambiguity that this is suited to do what you need it to. If you do decide to give this program a spin, you won’t regret it.